Li, X. and Siddique, K.H.M. 2018. 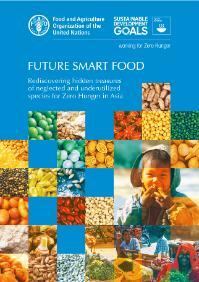 Future Smart Food – Rediscovering hidden treasures of neglected and underutilized species for Zero Hunger in Asia, Bangkok, 242 pp. 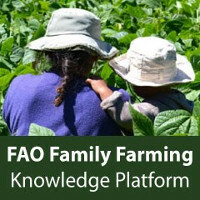 To tap the high potential of NUS, FAO RAP has organized a Regional Expert Consultation on Scoping and Prioritizing NUS through an interdisciplinary priority-setting exercise in December 2016, in collaboration with the FAO Special Ambassador for the International Year of Pulses, ICARDA, ICRISAT, MSSRF-LANSA, ACIAR, Mahidol University, the University of Western Australia, ICIMOD, CATAS-TCGRI, CFF, national governments and research institutes of Bangladesh, Bhutan, Cambodia, Lao PDR, Myanmar, Nepal, Vietman and India, as well as civil society (Akshaya Patra Foundation). It adopts an innovative methodology to identify NUS as FSF that meet four criteria on nutrition, agriculture, ecology and socio-ecological dimensions, which led to the priority list of Future Smart Food at the country level. 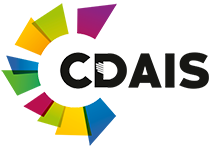 to provide strategic recommendations to create an enabling environment for the promotion, production, marketing and consumption of Future Smart Food, assuring healthy diets for the future. Future Smart Food, referring to NUS that are nutrition dense, climate resilient, economically viable and locally accessible, represent a promising abundance of food resources and constitute the bedrock of the food system. For centuries, people in Asia and the Pacific have grown and consumed a wide variety of nutritious foods. Unfortunately, more recent generations have slowly but surely changed their diets and have moved away from many of these traditional foods.Increasing the availability of and access to nutritious foods necessary for a healthy diet will help to close both the production and nutrition gaps. But conventional staple foods do not supply all the nutrients needed for a balanced diet. 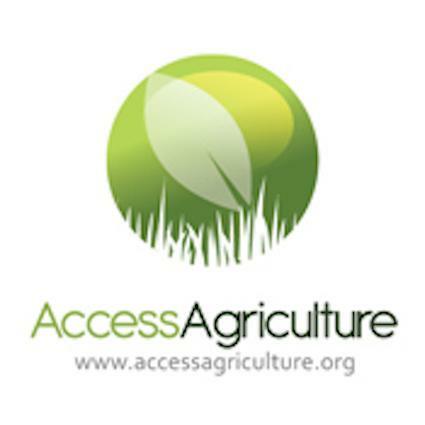 Agricultural production in Asia focuses on a few staple crops, particularly rice. The pattern reflects a structural issue: too many people consume food with too few nutrients and too much food is being produced without offering enough nutrients. This is often the involuntary consequence of government policies that prioritize quantitative food production targets. Tackling the health problems caused by malnutrition requires a transformation of current agriculture and food systems towards more diversity on all levels. 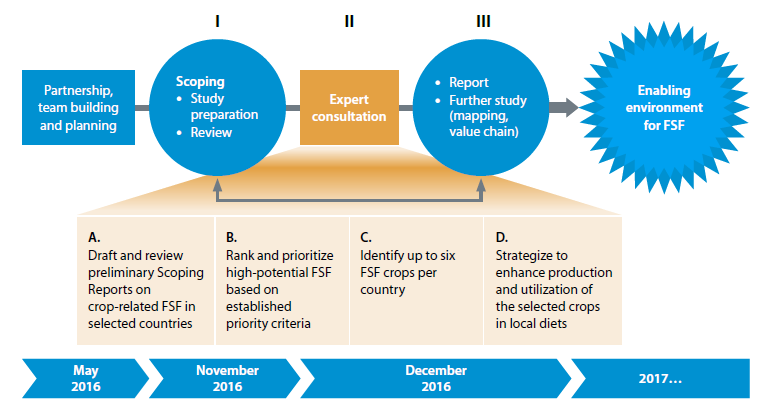 Part II (Chapter 6 through Chapter 13) provides an overview of scoping and prioritizing FSF for eight countries: Bangladesh, Bhutan, Cambodia, Lao PDR, Myanmar, Nepal, Viet Nam and West Bengal in India. For each country, high-potential crops were shortlisted after being prioritized on the basis of a set of multi-dimensional criteria. and feature lists of prioritized crops with potential in each country. the country’s agro-ecological environment, food composition, predominant cropping patterns and crops in the national farming system. 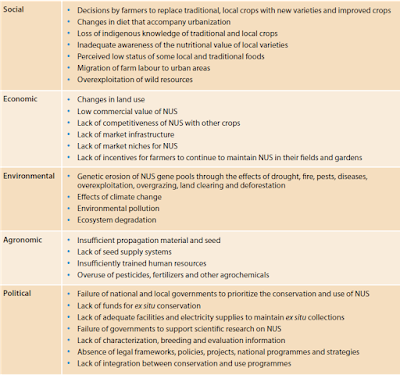 A situation analysis identifies gaps and major challenges each country is facing with regard to hunger and malnutrition, climate change, and market and economic considerations, as well as cultural aspects. 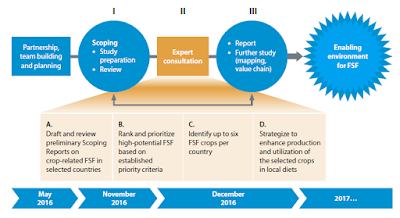 To link suitable FSF in each country to the identified challenges, potential FSF were assessed and prioritized according to their nutritional features, adaptation potential to local environments and climate change, economic potential, and sociocultural suitability. Each study also includes a set of recommendations and subsequent actions to further promote FSF in the respective country. A lucky few NUS have made their way to export niche markets around the world. Apart from their advantages for nutrition and production, the selected NUS also needed to be economically viable and socially acceptable. Nutrition (nutritional value and health benefits); Currently there is only limited information on the nutrient composition of NUS and FSF, which needs to be analysed and linked to respective health benefits. Production (local knowledge, availability, seasonality, productivity, intercropping and competition from other crops, and processing);For some NUS the amount that can be consumed in proportion to the weight is low. In addition, it can be is difficult to process and propagate soem NUS and trees may bear fruit for several years. Some NUS also tend to attract borers, pink disease, leaf spot, collar rot and rust. More research is needed to identify climate-resilient varieties and varieties more tolerant to abiotic and biotic stresses. Priority should be given to genetic and husbandry improvement of NUS and FSF. Socio-economy (cultural acceptance and consumer preferences, access to markets and potential income generation). 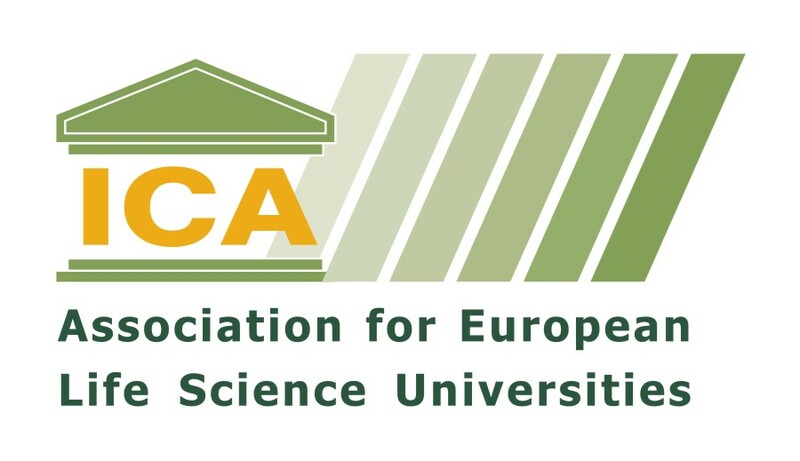 Promotional efforts would require germplasm collection of endangered species, documentation of collected materials, development of diversified cropping systems that include NUS, improved public awareness of the importance of NUS for nutritional value and health benefits, and research on sustainable management practices for underutilized species and improved marketing. NUS have remained ignored often for reasons of poor commercial performance, restricted distribution, consumption by small population groups, inadequate research, absence of modern processing and post-harvest methods, and lack of organized value chains and policy support for popularization. Bioversity International has initiated a special programme, “Moving from orphan to high potential crops,” aimed at mainstreaming certain NUS and making them more popular to substitute or supplement major food crops in Africa, Asia and Latin America. 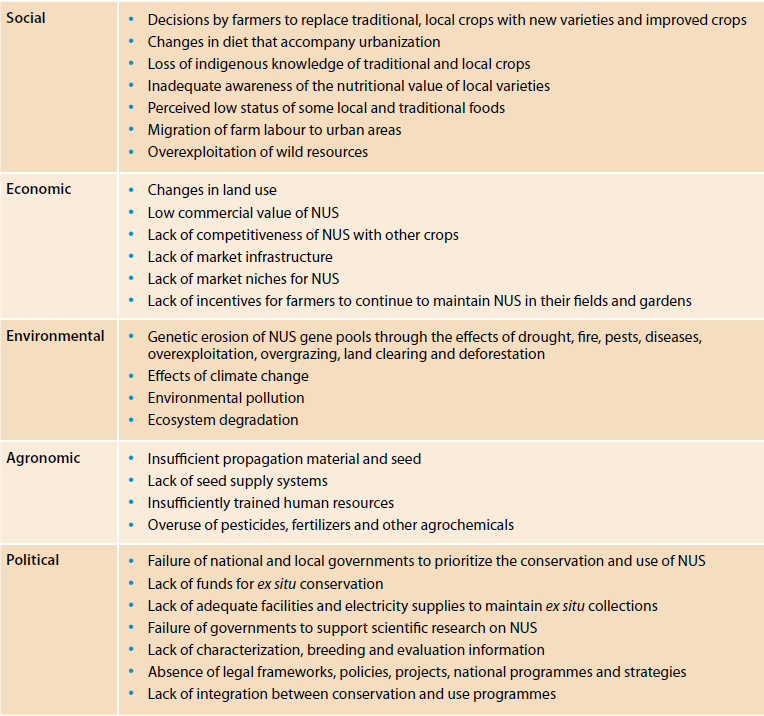 Most of the local foods cannot be stored long-term and preservation technologies have not been locally developed. This has resulted in a shift to foods like cereals and pulses which may not be as nutritious but can be stored easily. Local food is losing favour even in rural areas despite being readily available. Many of the younger generation are unaware of many of these food items. Processing may require a substantial amount of fuelwood which contributes to deforestation. Some NUF contain toxins which must be removed by cooking for long periods. The stem requires prolonged boiling, with the water replaced once to remove irritating chemicals. The taste may seem unfamiliar and so off-putting to potential consumers. Processing techniques should be advanced, and recipes need to be diversified. It may be difficult to process NUS which have low yields and small grains. SomeNUS are susceptible to waterlogging and frost, damping off, powdery mildew and rust. Some NUS may need to be processed as soups because eaten raw because it may cause an itchy, stinging, and very irritating sensation to the throat.